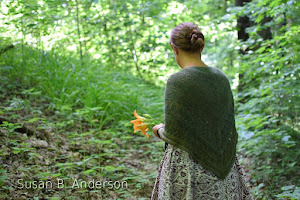 I am taking a turn off the knitting path today to share another handcraft with you. I don't know about you but I am a huge fan of hand-thrown pottery. In fact, I will admit to being slightly obsessed with it and collecting pottery as much as I am able. I have dreamed of taking pottery classes to learn how to use a wheel for forever and I think soon I will be doing that. Part of my renewed urge to sign up for a pottery course is this new book I received from STC, Simon Leach's Pottery Handbook. This beautifully-crafted spiral bound hardcover book is completely inspiring. The book has some of the most gorgeous photography I've seen and this is partly due to knitter/designer/yarn creator Jared Flood of Brooklyn Tweed fame. The other photographer and author is Bruce Dehnert. The book comes with two DVDs that share videos from Simon Leach's 895 YouTube pottery videos. I can't wait to dig into these DVDs. This is the perfect topic to include DVDs because these are not techniques you see in the everyday world. Click here for Simon Leach's Pottery Handbook on Amazon! Click here for Simon Leach's YouTube Channel! Click here for Simon Leach's website! The handbook was created as a companion piece to Simon's fantastic and expansive YouTube Channel. The book and the DVDs make for a comprehensive guide for new and seasoned ceramic artists alike. The book alone is a wonderful exploration of pottery how-to. I just love everything about it. The book includes: set-up, tools, clay tips, techniques like throwing, trimming, adding pieces, decorating and glazing and even how to set up and build your own kiln (can you imagine how cool that would be?). I want to do it all! Projects included in the book are cylinders (tankard, tea bowl, pitcher and bottle), dishes and bowls, a teapot, and a variety of lids. Simon Leach lives in Williamsburg, PA and teaches workshops throughout the country. Bruce Dehnert, co-author, lives in New Jersey and is the head of ceramics at Peters Valley Craft Center. 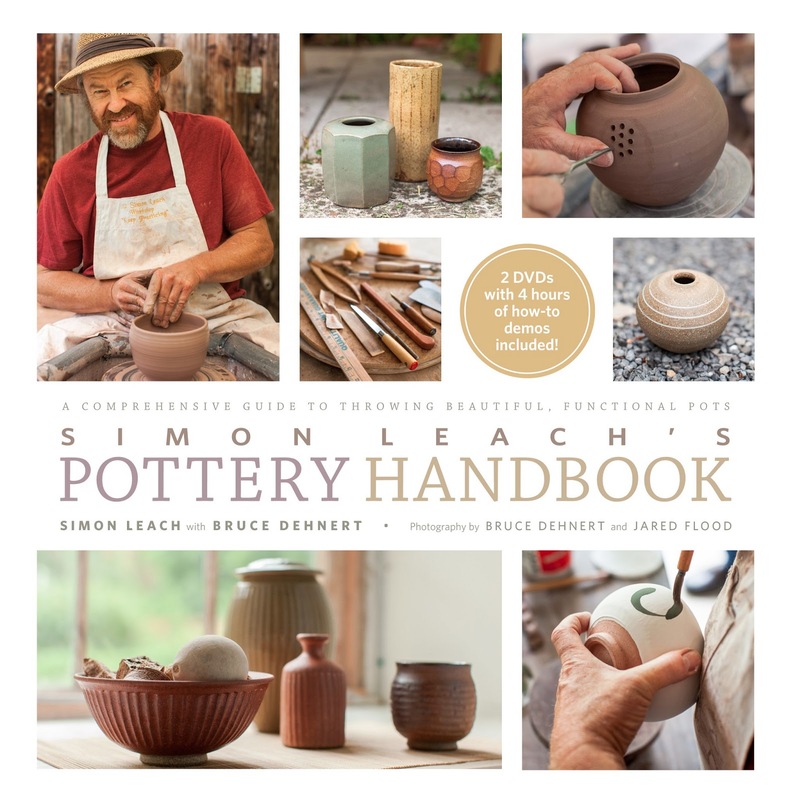 I am excited to be able to offer you a chance to win a copy of Simon Leach's Pottery Handbook! If you'd like to win a copy of this gorgeous and inspiring book, please leave one comment on this blog post. Please include your email or rav id so I can get in touch if you win! 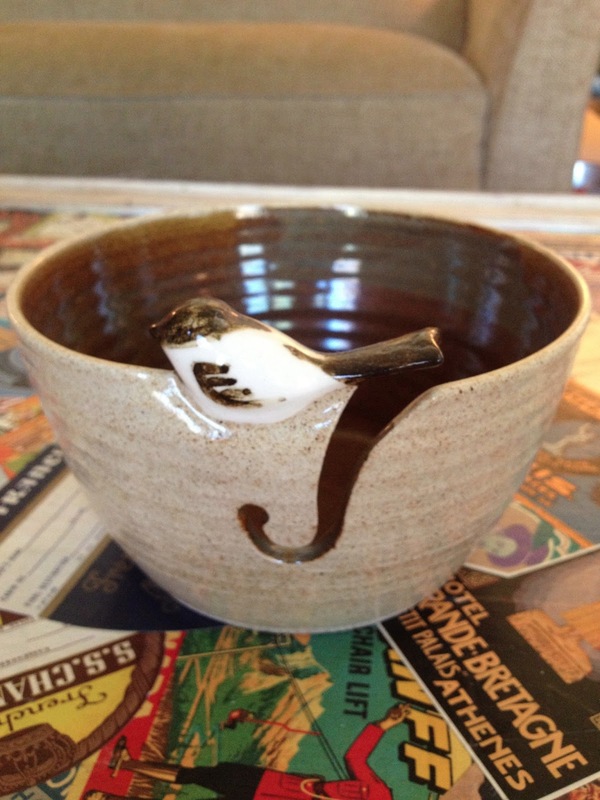 This Little Bird Yarn Bowl by Aaron A. Harrison is one of my most favorite pieces. 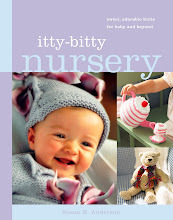 It was a gift from Deb (lovetocraft rav id) for one of our Itty-Bitty Knits swaps. 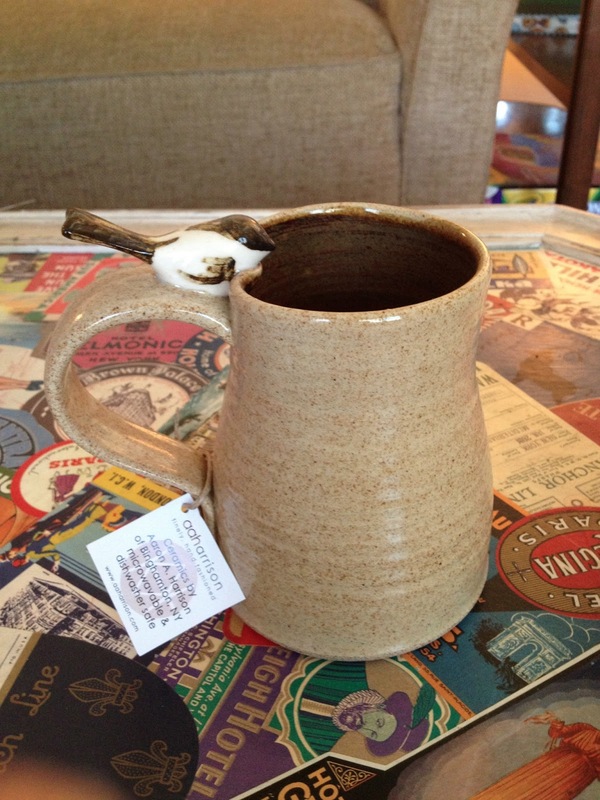 This beautiful matching Little Bird Mug comes from the same artist, Aaron A. Harrison. It's so beautiful I haven't used it yet but have left it sitting in my studio to admire. I'm going to start using it for tomorrow morning's coffee. Here are a few more pottery items in my collection. Click here for Jennie the Potter (the sheep mug and bicycle buttons)! 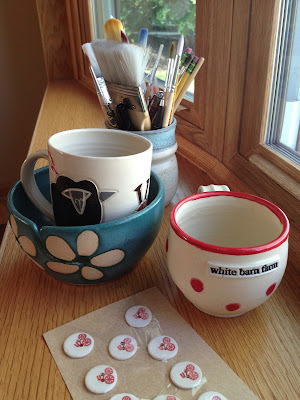 Click here for the White Barn Farm polka dot mug (I have their t-shirt, too)! Click here for Julie Knowles Pottery (flower yarn bowl)! I have a small collection of a local artist's pottery. Her name is Beth Rasmussen and she is such a talent. I have been collectting her bowls, platters, cups and even ceramic snowmen for over 20 years now. She is clever, subtle and so aware of the smallest details. She doesn't have a website but her information is on the Madison Potters Guild website. Click here to read more about her! Look what's inside this cup! 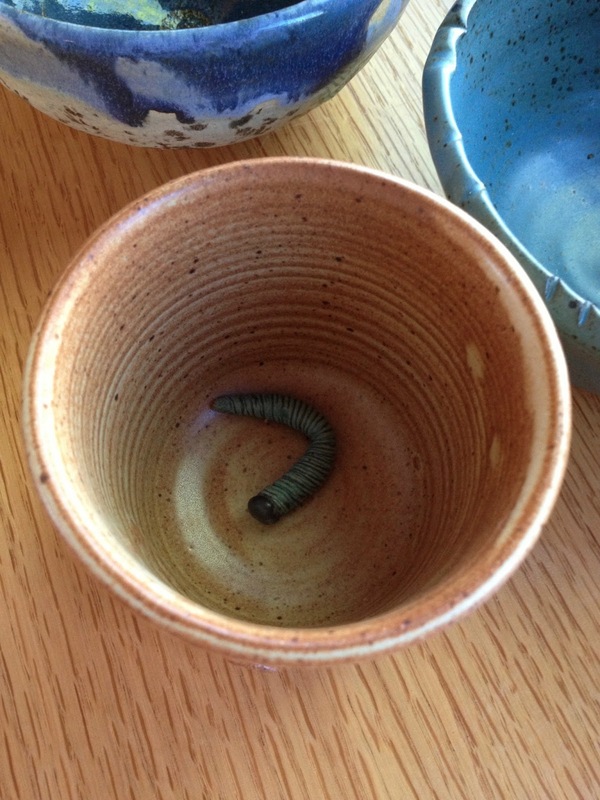 I love this whimsical ceramic caterpillar found inside the cup above! Beth is so cute. The other thing I love about Beth Rasmussen is that her equally talented son teaches ceramics at our high school. My son took his classes and fell in love with the pottery wheel and the art. He learned so much from his high school ceramics teacher who became his favorite teacher of all time. I have my son's pottery pieces all over my house now and I keep many of his bowls in my studio to set my working yarn in as I knit. I would just love to make my own bowls, platters, buttons and mugs.... a girl can dream. I will keep you posted if I find a good studio to take some workshops. I have some in mind. I will definitely be using Simon Leach's book and videos to guide me as I go! Remember to leave a comment if you are interested in winning a copy of Simon Leach's Pottery Handbook. Good luck if you enter to win! I'll be back in a couple short days to choose a winner via random number generator. Have a great start to your week. I would love to win a copy of this book. It all looks beautiful. I want to learn to throw pots one day too. My mum did some pottery when I was a kid, and my sister is doing a bit too. I would love to win this book, it looks beautiful! That book looks very interesting. Love the yarn bowl! My husbands aunt who lives in kilarney Ireland has a pottery studio in a shed in her backyard with a working kiln and everything. We will be going this summer and if I win this book I will be sure to have her teach me a thing or two! Thanks for the chance to win! I would love to win this for my husband. He just started taking pottery and is loving it. I too love and collect pottery. Thank you for offering this beautiful book as a give-away! Looks like a very fun book...Thank you! I would love to win this book! I have taken pottery classes at the local community college, but that was pre-children so a while ago. This book might renew my interest! Would love to win this book. I took classes pk (pre-kids) and would love to take it back up again now that three of four will be away at university this fall. I've always admired hand made pottery and I had an Aunt who did ceramics and had her own kilns and when I visited we would paint ceramics but there was no pottery wheel. I would love to be entered in the drawing and my rav id is Saminar. I also had a question for you. I talked to you about a year or so ago and I was inspired by you and several other artists to teach myself to knit...well, I have. 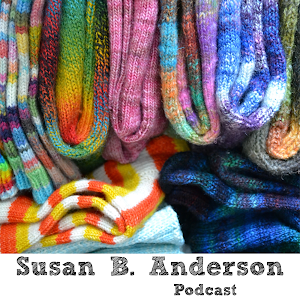 I've done quite a few scarves, 3 pairs of socks both Magic Loop and DPN's and I love your new book and have wanted to make some of your toys. Which book would you recommend I try first? I love them all so it doesn't make any difference to me but we have the group COmeBLogALong for bloggers and knitters/crocheters on Ravelry and I'm starting to plan next years projects (it starts and ends in July). Any suggestion would be great and of course I adore your new book but wasn't sure if I should start there or not. Do you think I have enough skills yet to do the toys or is there more I need to learn before delving into your toy books? Thanks and good luck with the pottery! My favs are the bird ones, of course, the polka dot barn one and who wouldn't love that caterpillar mug? Hope you had a great Mother's Day! I didn't realize until I read you blog that would be something to put on my bucket list. I am almost 69so I better hurry up. I love pottery and was supposed to take lessons then the teacher had to quit do to health...:( The closest I came was making ceramics...not the feel of the clay though..the book looks great! I would love to win. I haven't done any since high school, but it would be fun to try again. Love the book. Thanks for Shari g! I have a lovely biscotti jar made by a local potter. I don't keep cookies in it because I fear I'm the only one who treasures it more than the biscotti! I'd love to try pottery! Looks like a lovely book! I have some pieces my Mom made in the sixties and love them so. I daydream over postings on Craigslist for used ceramics equipment and think... Someday! I would love to have this inspiring book. I have also wanted to learn pottery. I signed my son up for a parent/kid class a couple years ago, but they canceled it since ewe were the only ones who signed up :( Maybe this will push me to finding an adult class. I am glad you are not asking how many pieces of pottery we own. Love collecting bowls! Then again, I suppose there could be some "clay" in my "blood" -- Dad's Side are from Staffordshire & Derbyshire, the HEART of ENGLISH POTTERY!! I LOVE pottery, I have a bowl "thing", and it now includes yarn bowls...love seeing it, I love it in my house, I love using at meals, there's a cupboard in my kitchen full of mixing bowls I have collected, and I love everyone of them! !this book will certainly be a 'must have" Thank you for sharing it. As I say all the time I learn something from your blog and Facebook page every time! Oh my goodness! I would LOVE to win this book! I have a definite soft spot for pottery as well. I really enjoyed the little bit that I did way back in school and I've still got the bug to try it again, don't know why I haven't yet. Divine! I'm a dilettante potter wanting to do more. this book would give me some lovely inspiration to get in to doing more. Divine! I would love to win this book and start doing more pottery again! I live just a few miles south of Seagrove, NC, the pottery capital! You should plan a visit. I could keep you busy all day pottery hopping!! Love this book. I love pottery! I love looking at it, touching it and using it. My husband made some beautiful pieces in school as did our daughter, from the same teacher no less! And don't you always remember/think of the person who made the piece every time you look at it? My daughter and I have signed up for a pottery class and can't wait. Would be fun to win that lovely book. I don't know that I'll ever take up pottery but I'd love to have a copy of that book. So pretty! I would love to have a copy of this book. I would gift it to my daughter. She is a pottery fanatic! I love hand thrown pottery! Please pick my number. I am working out so I will be strong enough to throw! I have always wanted to make pottery bowls. I did ceramics with my mom, but always wanted to use a wheel. Thanks for the beautiful giveaway! I would love to win this book. My sister is a potter so I would give it to her in exchange for a yarn bowl (I've been asking her for ages to make me one). I'm with you Susan, I love pottery and am drawn to it at any art festival I attend. I have a small collection started as well. I often think about joining our local potters guild, but finding the time is the issue, so I support the potters when ever possible. The little bird yarn bowls are adorable! You'd love the hand-painted yarn bowls made by Phyllis Handal (she is located in Maryland). These are some of my favorite pieces of collectible pottery and can be seen on The Artisans Hand Pottery website http://www.theartisanshandpottery.com Thanks for sharing (part) of your pottery collection! I,too, am enamored with hand thrown pottery and have a very favorite mug made for me by a friend. I've taken classes off and on over the years and am not great at it but I still enjoy it very much. Your pottery story sounds so close to my own. Although I haven't been able to collect pieces in the same way as you have, I have pieces that my daughter created in her high school ceramic class that I cherish. I would love to own this book and be able to get my hands on clay. What wonderful photographs and inspiration. I have "done" pottery two or three times over my life... I always like playing in the mud and seeing it transformed... whether into something "useful" or merely interesting never mattered. Thanks for sharing! This book looks wonderful. I took a beginner pottery workshop last winter and my daughter is currently taking one. I'm a big fan of pottery, especially Red Wing pottery. I'd love to win this book. Pottery is a creative and super fun craft. I took a class in high school and fell in love. I too have way too many pieces from all over the world. The pieces are just too beautiful to pass up. Thanks for the chance at winning this great looking book! This book looks fantastic. I love the bicycle buttons. Susan: This is off topic... Graduation is approaching for some of us... I wonder if you have designed a cap and gown for graduates with your animals? I would buy that pattern in a heart beat if you had it designed... Love your patterns!! What a beautiful book! My friend teaches at a studio on Monroe street. I can get the studio info to you if you'd like! My niece has her own pot house on the family farm. I itch to get messy at her wheel during one of my visits. You need to check out the Cambridge Pottery fest. I believe it's June 8-9 this year at Lake Rippley park. Lots of great clay artists! Thanks for sharing your favorite clay art! I would LOVE to win this book! Pottery has been a big part of my life for years. I recently got a lovely yarn bowl which I loved. When it broke suddenly I vowed to search out another one. Perhaps the book will help inspire me to do this! I love pottery too, took a class years ago and loved it. thanks for the chance to win this book! Very cool book! Would love to win a copy. I love pottery too, and would be so happy to win this book. My mom and I took a pottery class together---the main thing that I learned is that I stink at pottery and should stick to crafts involving thread or string. I also learned that when I see a bowl at a craft show for $30 or $40, it is worth it. I would love to have this book. My son, also is a potter and has made some beautiful things. Would love to try it myself. What a nice give away! I have been throwing for some 20 years and have never owned or thought about owning a handbook. I do love to watch Simon's you tube demos I bet the book would have so much info, I'd sure like to win and take a peek. Thanks for making this available. I, like you, have always dreamed of using a pottery wheel. The book sounds wonderful. Submit my name for the drawing. I love pottery, and this looks like a beautiful book! If I don't win, I'll have to pick up a copy! I have a tiny obsession with hand thrown pottery and just returned from visiting Seagrove, NC which is home to over 50 potters. What a treat. I've always wanted to learn to throw a pot and would lover to win the book. What a gorgeous book! I have tried a pottery wheel only once - it was so difficult! My hat goes off to your son and anyone else who has mastered it! Do you have any other suggestions on where to find yarn bowls? I have been itching to find the perfect one! I have collected pottery for a few years, especially from our local community college workshops. I'd love to take a workshop myself,and try this amazing craft. The book looks like a must have! I, too, love handmade pottery! It's just so beautiful and feels so amazing in my hands. This book looks like total eye candy and would love to own it. Thanks for providing us with the chance to win this book - it looks wonderful! It's been years since I took pottery, but I, too, have a certain local potter whose work I keep buying. . .oh, I'd love to win this book! I am especially found of those knitting bowls-wish I could make one! Thanks for the wonderful giveaway! I've always wanted to learn to throw pots. I would love to win the book!! I have done ceramic work before, but never pottery. Thanks for your lovely blog! 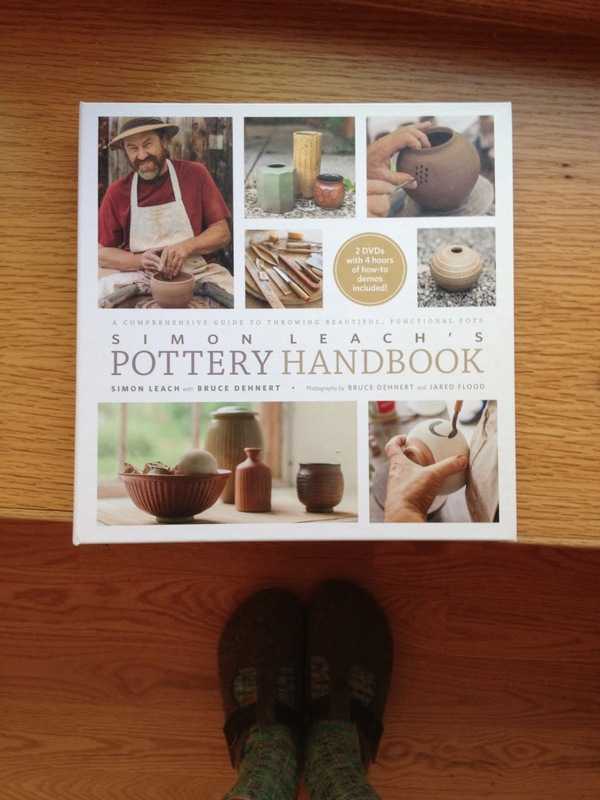 I would also love to win the pottery book by Simon Leach as I am an admirer of his, and have my own wheel at home. I take my pots to be fired and glazed at my previous teacher's studio, and dream of having my own studio one day. I do advise you to start taking pottery soon, as it seems to be in your blood! Good luck! Paula here from White Barn Farm. 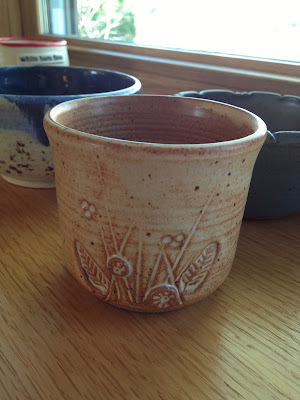 Just wanted to thank you for mentioning my farm (mug) in your blog. I was wondering why I was having a spike in online mug and tee shirt sales! The internet is a crazy thing. Thanks so much. Every little bit helps keep this place going.I am now, of course, following your blog, and enjoy it very much. Cheers. Click here for Early Bird registration! Affiliate Link. 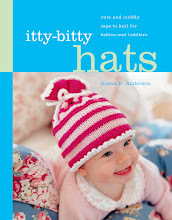 Susan's new pattern and yarn line! Click on image to purchase! 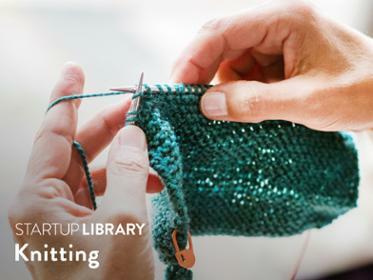 50% Off My new Craftsy Class! Click image to find out more! 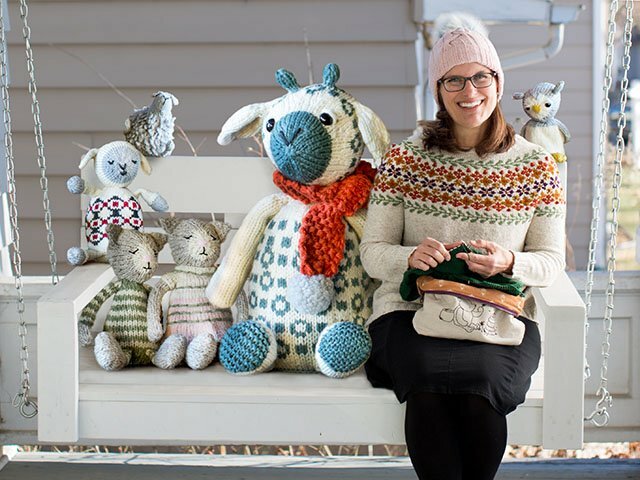 50% Off-The (not so) Itty-Bitty Giraffe online class on Craftsy! 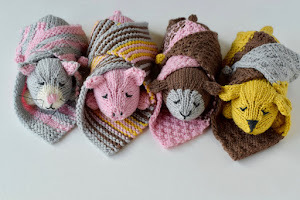 50% Off - Wee Ones Seamless Knit Toys online class on Craftsy! Click to see my photos! My New Book ~ Available Now! 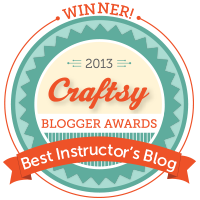 Craftsy Best Blogger Award 2015! Click on the image to see on iTunes! Click on the image to start watching! 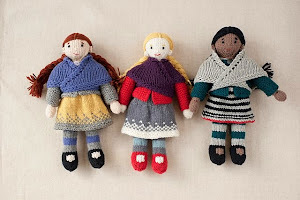 Click on the dolls for over 60 individual patterns on Ravelry! 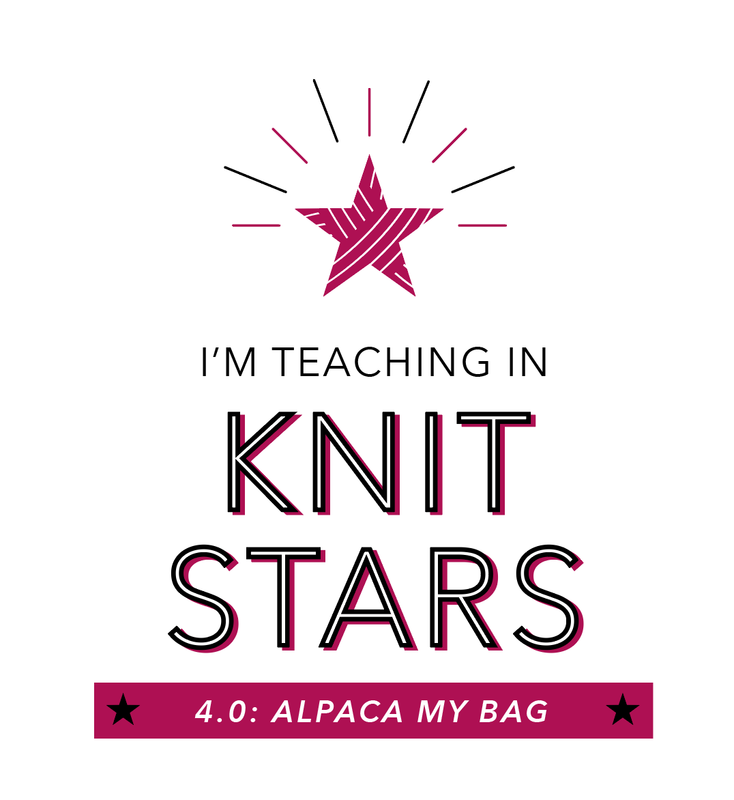 Winner of Craftsy's Best Instructor's Blog Award! Click to find out more! 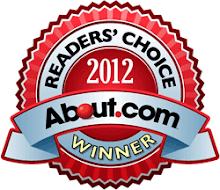 Click on the logo to see more about the award. Click on the photo to find out more! 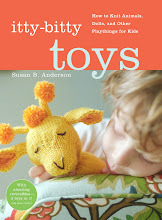 Topsy-Turvy Inside-Out Knit Toys Book Trailer - click on YouTube logo for a better look! All Content of this blog is copyright of Susan B. Anderson. Designs, images and photographs must not be reproduced or copied. If you wish to use images from this website please ask permission. Thank you! 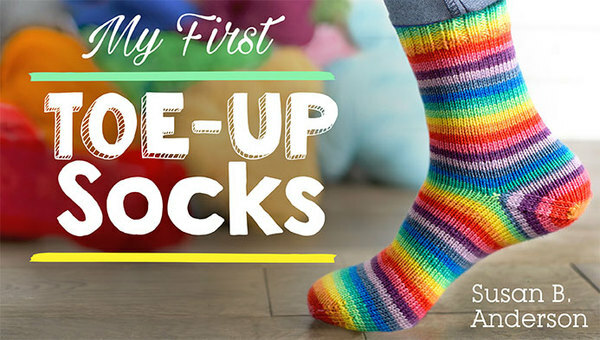 Come join my Ravelry Group! Click on the banner to find out more. 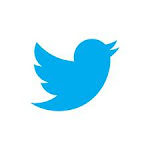 Click on the logo for my tweets! 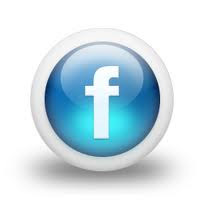 Click on logo to see my pins! Click on the photo to find out more or to purchase! Click on photo to find out more! Click on the photo to purchase! Click on the photo to purchase the pattern. 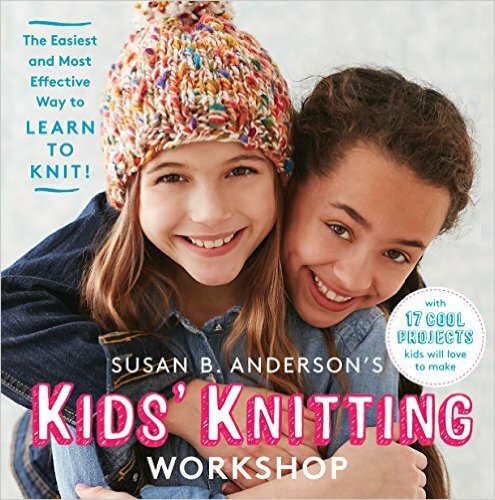 To buy my books (first try your local yarn shops)! Click on the image to find out more!